What Somms Drink is a new and unique business that aims to provide Sommelier-selected wine from all over the world to wine lovers everywhere! 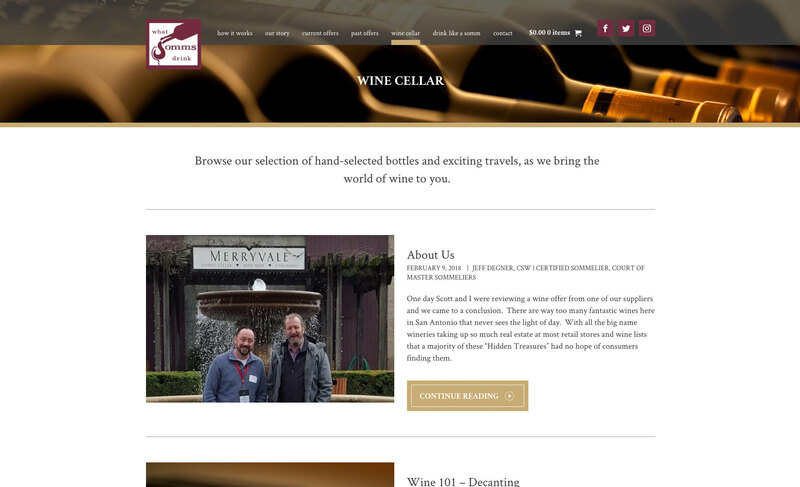 With the business being primarily internet and membership based, we knew we had to create a website that went above and beyond to effectively convey the Somms’ brand to their target audience. By showcasing their one-of-a-kind business and educating their members on their unique service, we did just that! Now What Somms Drink is known as an industry leader for Sommelier-selected wine. We began by meeting with the Somms to determine a clear direction for their website. Their main focus was to feature their scheduled current offers for a limited time alongside a countdown timer to increase customers’ sense of urgency. They also wanted a streamlined process for their visitors to sign up to become members. 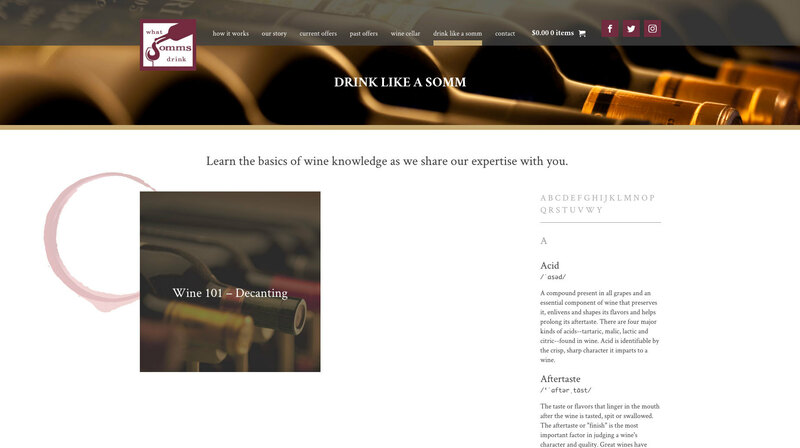 In an effort to better connect with their audience, the Somms wanted to use their website as a place to share their knowledge, expertise and travel experiences. Making it Sleek, Sophisticated and Sommelier-Approved! 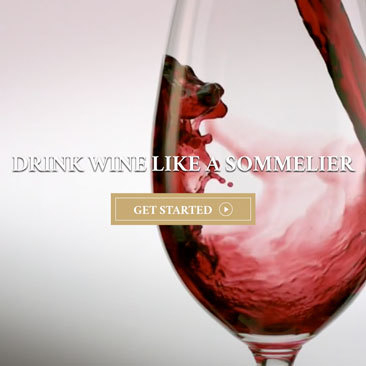 Once a course of action was in place, our team got started on making the Sommeliers’ dream site a reality. We created a slow-pour video to be the hero graphic on the Home page. The elegant and enticing feelings sparked by the video helped to set the tone for visitors as soon as they entered the site. A large CTA button to become a member was also placed in the middle of the Home page, giving visitors an easy opportunity to sign up. By emphasizing that membership was free, we were further able to tempt customers to join What Somms Drink. To streamline the customer’s experience on the website, we included a comprehensive How It Works page. 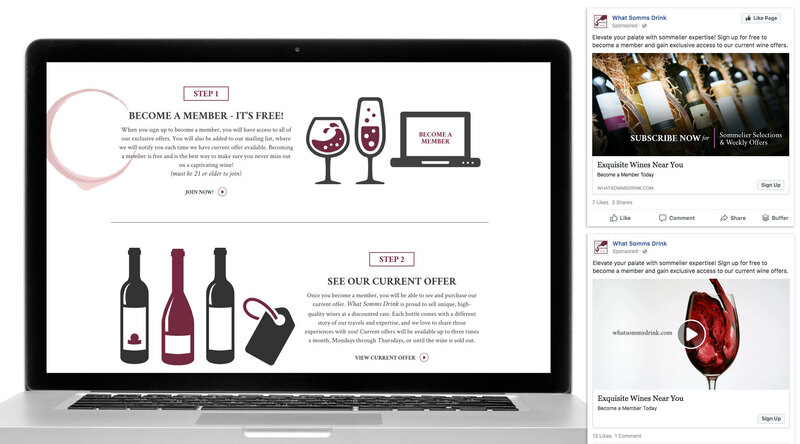 This page gives a complete overview of what a customer can get from their membership – from signing up to picking up their first bottle of wine! It also serves as a great landing page for their social media campaigns, as it outlines the membership process and benefits. Enforcing the limited time on the current wine offers was accomplished by putting a countdown timer above each bottle. By giving customers a sense of urgency, they were more likely to act quickly and purchase the offer. To set themselves apart even more, What Somms Drink also included a detail section along with each offer. On this section, the Somms could share their expertise on a specific wine; including country and region of origin, soil used, recommended service temperature and tasting notes. They also included a flavor profile for each wine complete with critical acclaims and pairing recipes. Since the Somms wanted to connect with their audience on a personal level, we made sure to include a blog section aptly named the Wine Cellar – as it is a hub they use to store all of their pieces on their travels, thoughts and experiences. Because sommeliers often speak a language of their own, our team created a page to help translate their lingo to the average wine drinker. The Like A Somm page included knowledge and insight into various words used to describe and refer to wine. We categorized these terms like a dictionary in order to make it user friendly and easy to navigate. By providing clarification on any words a customer may stumble across, we helped their audience better understand their product terminology. To ensure that members were only able to purchase the Somms’ current offers, we created an e-commerce solution that only allows products to be available for a limited time. Once a purchase has expired, it gets archived to the Past Offers page; which allows all the details of the wine to live on infamously on the web. We also ensured that the customer’s purchasing process was simple and to-the-point by creating a minimalist inspired Cart page. 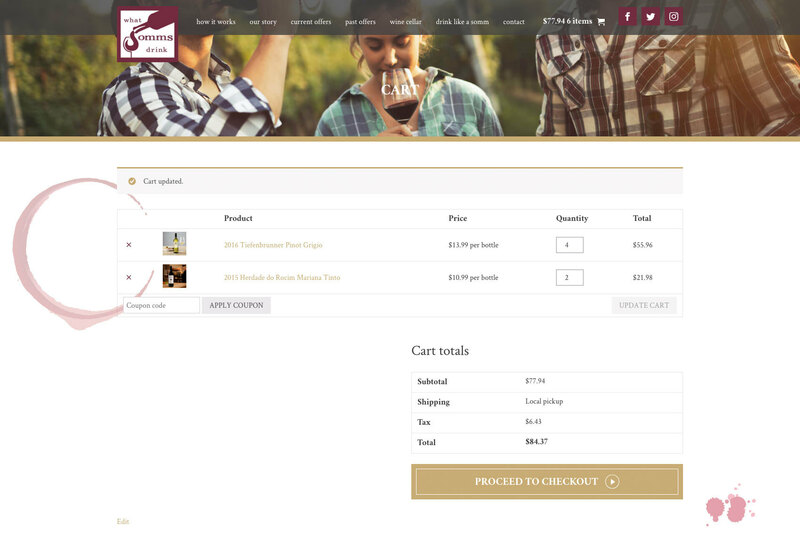 By keeping the page bare with the exception of their selected wines, we gave customers a brief but comprehensive overview of what their order will look like before buying. 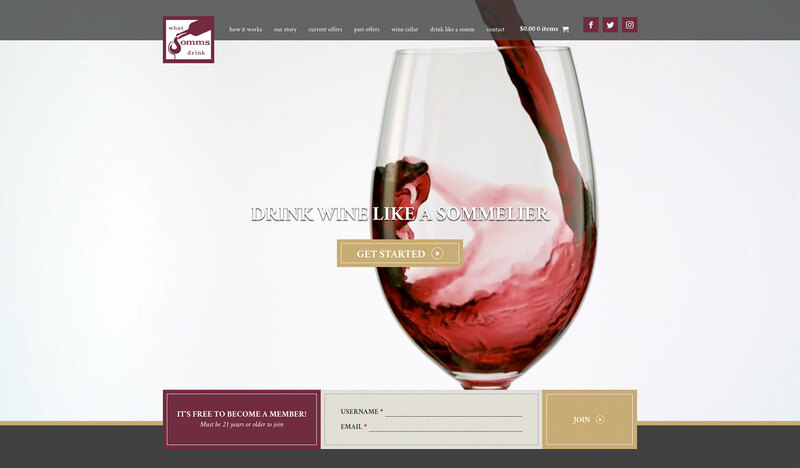 Overall, we made sure that the What Somms Drink website was beautifully designed, fully functional and mobile responsive. 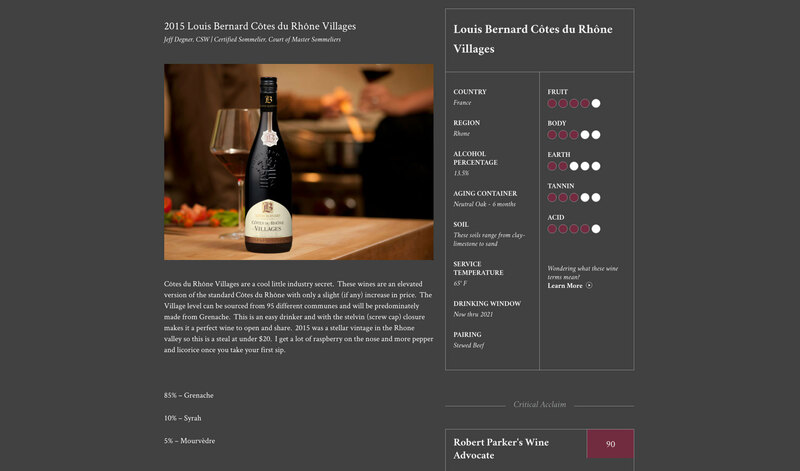 By ensuring that it was compatible with all devices, the Somms were able to reach their audience across all mediums; which means they can continuously improve their SEO score from both mobile and desktop screens. Even more so, their availability to their members lead to increased site traffic, and ultimately, increased conversions!